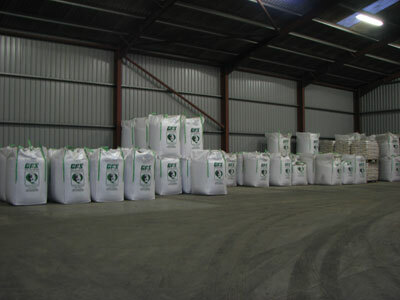 Gray Feed Services was established in 1992 by George Gray. With over 40 years’ invaluable knowledge and experience of the Scottish animal feed and pet food sectors as well as running his own arable farm in Aberdeenshire, George’s passion for the farming industry is clear and these dynamics ensure that we have a genuine understanding of our customers’ requirements. George’s vision for the business back then just as it is today was to provide farms, estates and smallholders with a comprehensive range of consistently high quality and nutritious animal feeds which our customers can trust to deliver top levels of performance in the field whilst providing value for money. At the heart of the business is an unrelenting desire to provide our customers with a high level of personal customer service and really take the time to understand their requirements, which we feel can be more readily achieved in an independent family run business. George’s daughter Rachel joined the business as a partner in February 2013 and is now working alongside George managing the sales and marketing of our products. We operate our own dedicated delivery service enabling us to deliver direct to farm or alternatively our products are also available for collection from our feed store in Aberdeenshire. Our ability to deliver and exceed our customers’ expectations is demonstrated by the fact that as well as growing our customer base and expanding our geographic coverage over the years, we are extremely proud of the fact that we have built longstanding relationships with farming families who George started supplying over 40 years ago and in many cases we are now supplying the second and third generations.